If your pet needs medical attention, Vale Vets should be your first port of call. We have a wealth of experience with all types of pets and can provide expert advice and assistance to ensure your pet receives the best healthcare available. Vale Vets offer a wide range of services designed to give you complete peace of mind when it comes to the health of your pet. We completely understand your desire to ensure that your pet leads a long and happy life, which is why we have dedicated ourselves to providing first class veterinary care for local pets in Balham and beyond. 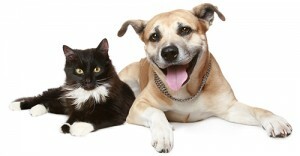 Balham is a popular place to live, both for pets and their owners. With good access to other areas of South London including Streatham and Croydon as well as Central London, the area also has plenty of green spaces that are perfect for dogs. Many of our clients and their pets live in and around Balham, just down the road from our modern, well equipped practice in Streatham Vale. Vale Veterinary Clinic offers plenty of on-street parking outside the surgery and on Farmhouse Road, a cul-de-sac just around the corner. Streatham Vale is also well served by local transport. At Vale Vets, we aim to provide a completely personal service that is designed to meet the needs of your pet at every stage – from new kittens or puppies right through to senior pet care and the final farewell. From annual vaccinations, flea and worm control, neutering and microchipping services to dental care, insurance advice and pet passports, we are here to help. As a responsible owner of a pet rabbit, cat or dog, you can also sign up for our pet care plan and benefit from free check-ups and annual vaccinations, a year’s supply of flea and worming treatment, free microchipping and many more discounts. Whether your beloved pet has an ongoing health issue or you simply want to provide a safety net regarding veterinary bills in case of serious illness, our pet care plan is an easy way to spread the cost of caring for your pet through the year while enjoying significant savings. For a full list of veterinary services available to pets in Balham and the surrounding areas of Norwood, Dulwich and elsewhere in South London, please visit our Services Page for more details. At Vale Vets, we have extensive experience in dealing with a wide range of animal health issues and can offer effective care for your pet in Balham and the surrounding area. Why not contact us today to find out how we can help? Call Vale Vets on 0208 679 6969 and talk to a member of our expert team, or email us at info@valevets.com and we will get back to you. Alternatively, you can book your appointment online.